“Building on my background in design, commercial art and advertising, I opened my own design studio in 1999 hoping to Simplify the Process for clients at a time when the details are the most crucial. 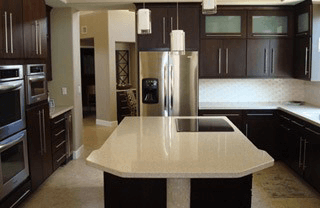 I have worked with custom cabinet makers, tract home builders and high end cabinetry companies. Through the many elements of designing in these areas, where I gained valuable experience, I also longed for a more personal connection with the homeowner and end user. I recognized there was a niche market that fell in the middle of tract home and ultra deluxe design. In making the choices of the cabinetry lines we wanted to offer, I kept in mind how important good solid construction is to the design. I also wanted to be able to customize each project but keep it very affordable, offer lifetime warranties and lots of choices in stains and wood species. Our showroom is full of beautiful examples of our designs and samples for you to take to your home to see how they feel there. We promise to help every client maximize their budget, even if it is modest. We will also assist builders in achieving a higher level of finish details for their spec homes that will help them sell it faster without compromising their profit. 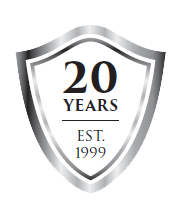 We have grown our company to include three additional designers, a project manager, and a skilled team of installers. We have become one of the most talked about design teams in Tucson. And I am proud to say we have indeed simplified the process! 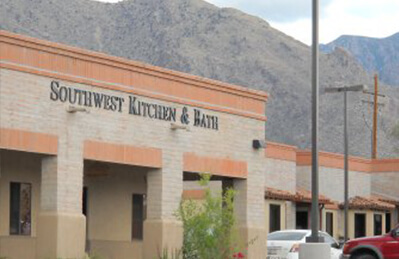 With over 40 years combined experienced in design, members of the Southwest Kitchen and Bath team treat everyone like family. We work diligently to implement a design that fits the clients’ needs and we pride ourselves on going above and beyond your expectations to finish on time and within budget. We start with an in home consultation or review of your architectural plans. We provide computerized drawings of your design so you can walk through the finished space even before we start! We conduct a thorough field measure of the jobsite with our install team to review all aspects of the layout. We will partner with your designer or builder (if you have one), or we can handle all those details. Our beautiful showroom allows you to view hundreds of doorstyles and finishes. A Project Manager is assigned to each job, which ensures you “a one on one” experience and good communications through the duration of the project and will keep the lines of communication open not only with you but all of the vendors involved in your project. Our customers rave about our design abilities, the quality of our cabinetry, our attention to detail and personalized service. Call us for your in home consultation or visit our newly expanded showroom. We look forward to partnering with you on your project! If our interiors reflect our current state of mind, then it appears we use simplicity as shelter from a frenzied world. Let us help you simplify the process! I look forward to the design process when meeting a new customer, coupled with the excitement of new ideas, colors, and designs. 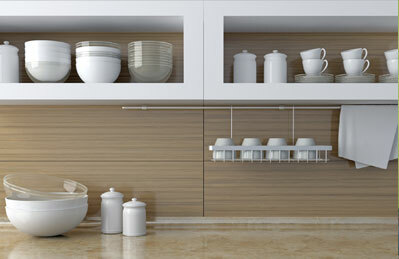 I love showing the newest styles and designs of the cabinet lines we carry. My favorite part is the day that I look at the ‘after’ pictures and remember the trip I took with the customers to get them there. I like to get to know the customer so I can relate the kind of look or ambition they have for their home. 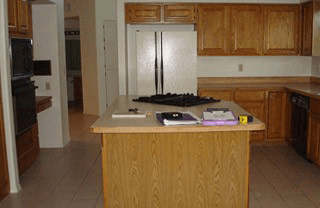 With 12 years of experience I truly believe that there is no project too big or too small. Even when I was little I enjoyed making my space my own, which might be why I went to school for interior design. I love to help people make their space not only beautiful but functional as well. Space planning is my muse, and I will always make sure you are getting the very best out of your kitchen or any other area of your home. From eclectic to modern there is no obstacle that we cannot overcome together. With 17 years’ experience in design and remodeling, my strength is listening to what a client is saying as well as helping them to see the things they couldn’t imagine in their kitchen space. I am also proud to manage a talented team of designers, project managers and installers that execute every design into its new creation. Once your cabinet design is done, that’s where the execution comes into play! Who is going to set up the delivery, schedule the installer, insure all the appliances, tile, sinks, countertops all go in when they should? We do! We will even do it while you are away on vacation. Every summer we stay very busy doing remodels while the clients go to their cooler homes! We can make your current space so much more functional. Check out our current specials here. With hundreds of doors to choose from, it’s nice to have a showroom where you can see most every door you might consider in your kitchen remodel. We have tile samples, countertops and hardware here along with four designers to help pull it all together for you. Call us for an in home consultation or make an appointment with our designers today! ROC #210085 - Install Express, LLC.